Many apologies for not having updated this blog for a while, but life has been busy and other things have happened to take my attention away from the books. 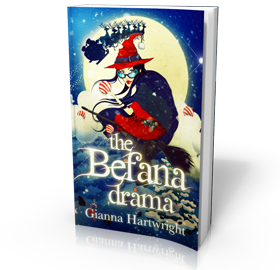 What I can report is that developments in Italy are still on-going with the Befana Drama series, although most of you only know this as two books – The Befana Drama and Befana Drama 2: Capriccia’s Conundrum, whereas, in fact, there are three books featuring the wonderful, super-hero Bef. The third book has been written to support the themes of EXPO 15 in Milan – an exhibition that will run for many many months and explore a wide variety of themes affecting the future of our planet. While it is all very well discussing things at an adult, highbrow level, I believe the future of the planet lies in the hands of the younger generation and their influence on their parents. The third Bef book takes up one of the main themes of EXPO MILANO 2015 and uses it as the plot of a detective mystery. I’m very pleased with the way this develops and I think it’s simple enough to convey a message to children, while mysterious enough to grip people a little older. EXPO MILANO 2015 says ‘Nutrire il Pianeta, Energia per la Vita’ – feed the planet – energy for life. I say to EXPO MILANO 2015, nourish the children with green messages and you will save the planet. I believe this book could really provide a legacy for EXPO 15 in Italy, long after the exhibits have been dismantled and the seminars concluded, and be a great asset to any publishing house, like Mondadori, Giunti or Feltrinelli, which wishes to propagate ‘green’ messages among Italian children, in a fun way that doesn’t preach, but which does engage. The next ‘Bef’ mystery linked to the themes of EXPO MILANO 2015 is half-planned and could be written very quickly, if those behind the environmental messaging of this exhibition wish to put their money where their mouth is and support books that have great reading appeal and sleuthing plots that can allow messages to be absorbed, without any preaching going on in the classroom. Around six stories are destined for this detective series at present, but many more can follow Book 2 should be very much appreciated by the UK presence at EXPO MILANO 2015 in particular, proving that Bef has a global message and appeal and is so much more than just a Christmas figure. But it’s not all about Italy. We still have our Young Adult ‘Goth’ title in the writing process and also have what could be the biggest gem of all – the book written on the basis of the inspiration provided by a UK community hero who could be changing the face of this country very soon. Every day, the relevance of the message of this book becomes more imperative for UK children … I just need to find the time to explain that to the UK market and, potentially, direct to political leaders searching for ways of achieving the tenets on which this book is based. To do that, I need to find a committed partner who believes, wishes to join the joyride and will muck in where needed. However, there’s a brand new book about to enter the writing stage, having been planned for a couple of months, but delayed because of a lack of time in recent months. 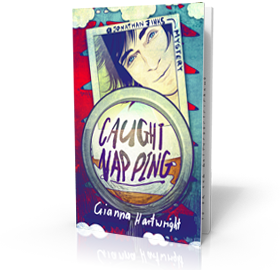 What I love about our Gianna Hartwright series is that every book has its own identity, its own market and its own potential, whether that is film, TV, UK school recommended reader or popular pupil choice. Every one is different – even within the Befana Drama series – and we’ve hardly begun to crack through all the books on our ‘must-write’ list. 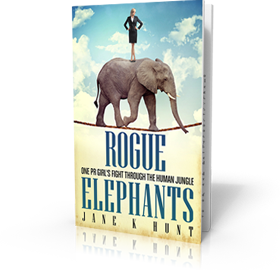 For me that’s kind of the point – seeing which book can be most successful, while proving that I can write in a wide variety of styles and within different genre. 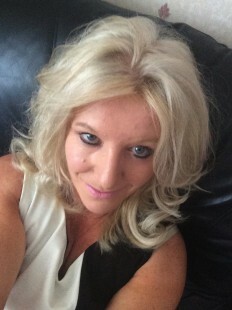 It won’t be too much longer before I start focusing on the adult market and doing something very different indeed. 2015 will see us having more scope than ever to drive things forward, due to life never being the same again from this point on, so although the day-to-day job may have set things back recently, the next few months will be a time to really go for it, while enjoying all the perks that run alongside being part of the publishing world.